2018 sees the launch of the refreshed Peugeot 5008. 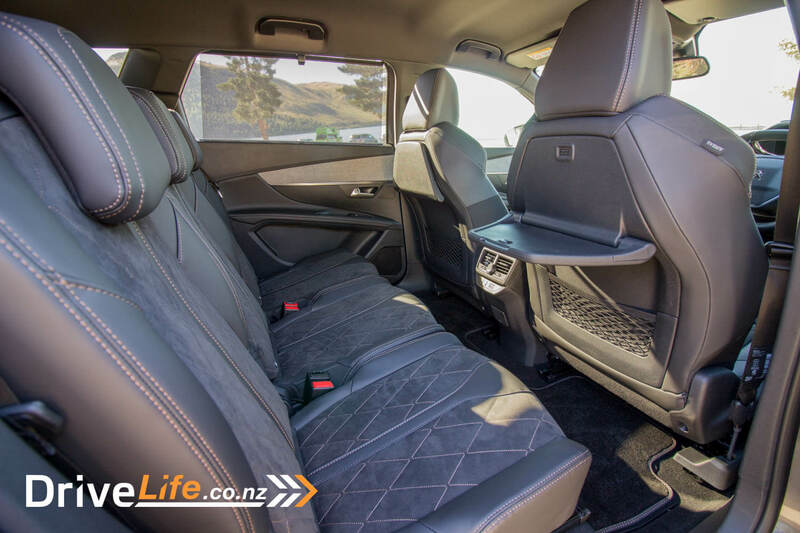 A bit of a quiet achiever compared to others in the mid-size, Euro SUV segment, the 2018 5008 has a lot going for it, including 7 seats – with the 3rd row removable. Peugeot sent us a top-spec GT (diesel) model to review. This just happened to coincide with a trip over Easter to the South Island. 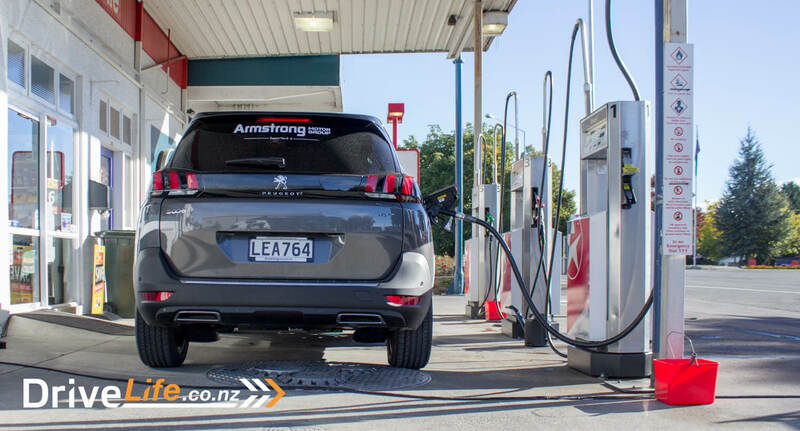 It’s been a while since we’ve had a Peugeot SUV – the last was the 2017 2008, and I really enjoyed that car. I was desperately hoping the 5008 would be just as good, if not better. A decent road trip was going to bring out the best – and worst – in the 5008. 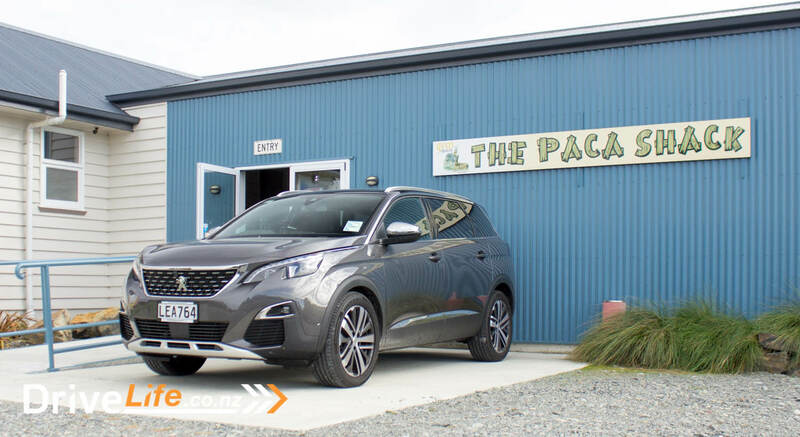 There’s just two models in the 5008 range – the base $49,990 Allure, and the top-spec $59,990 GT. The Allure is petrol only, and the GT is diesel only. Interesting that Peugeot call it a GT but it’s diesel-powered. The Allure is powered by a 1.6-litre, 4-cylinder turbo petrol motor, putting out 121kW of power and 240Nm of torque. The GT has the 2.0-litre, 4-cylinder BlueHDI turbo diesel, making 133kW of power and a decent 400Nm of torque, at a nice and low 2,000rpm. Both models are fitted with a 6-speed automatic and meet Euro 6.1 emissions standards, and are front-wheel drive only. At $49,990, even the Allure has a decent amount of standard features. For that money you get seven seats, trailer stability control, an electric park brake and hill start assist, Advanced Driver Detection Alert, active blind spot detection, active lane keep assist, traffic sign recognition, cruise control, front and rear parking sensors, a 180-degree rear-view camera, Grip Control (which includes Hill Descent Control, selectable terrain modes and mud/snow tyres), the Peugeot iCockpit (which includes a 12.3” high definition heads-up instrument panel, 8” touchscreen media system, satin chrome toggle switches and leather steering wheel). 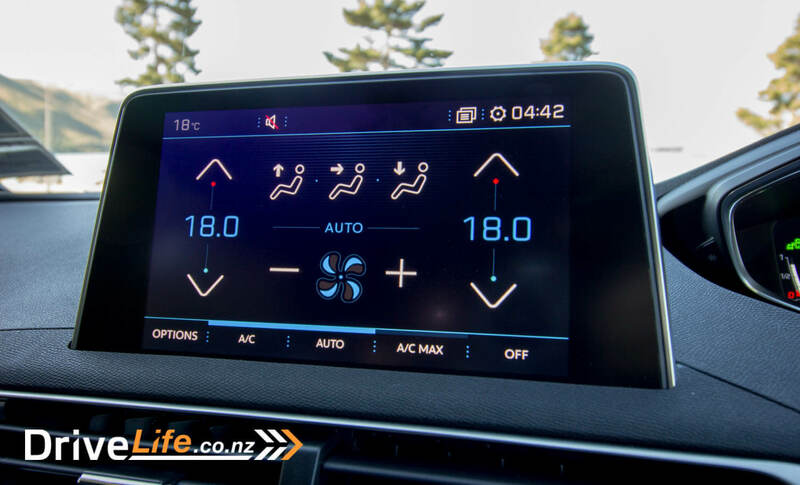 SatNav is also standard, as is Apple CarPlay and Android Auto capability, dual-zone climate-control AC, keyless entry and start, all windows auto up/down, wireless cellphone charging, a hands-free electric tailgate, tray tables for 2nd row seats, 2nd row window blinds, auto wipers and headlights, auto-dimming rear-view mirror, LED DRLs, auto high-beam assist, heated and electric folding rear-view mirrors, LED interior lighting, Blue Mood lighting pack, LED taillights, 18” alloys, and a 6-speaker premium stereo unit. For $50K, that’s some pretty good kit. Moving to the GT model – other than the different engine – you get added to that list the Safety Pack (adaptive cruise control, forward collision warning, advanced emergency braking, Park Assist, 360-degree camera), Alcantara upholstery, an 8-way electric driver’s seat with 2 memory settings, adjustable cushion length for both front seats, heated front seats, height adjustable passenger seat, and engine start/stop function. The iCockpit system in the GT moves up to ‘Amplify’ which means you can adjust the interior ambience and disperse fragrance through the cabin (more on this later). It also has an amplification of the engine sounds “to stimulate the on-board experience”. 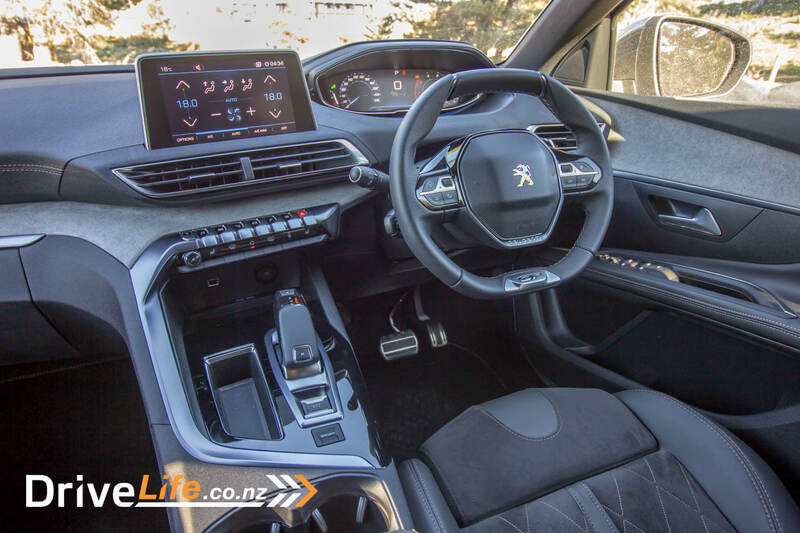 The 5008 GT also comes with a massaging seat for the driver, with 5 different modes to choose from: Claw, Wave, Stretch, Lumbar, Shoulders – and you can adjust the level of the massage with 4 different levels. Would I be using this on the trip? Hell yes! The GT also adds LED fog lights with cornering function, LED sequential front indicators, ‘Lion Spotlight’ in the wing mirrors (projected down), Alcantara instrument panel and door panel decoration, and 19” alloys. For the additional $10K over the Allure, the GT seems like the one to get. Grip Control is optional on GT ($500) which reduces the wheels down to the 18” of the Allure. You can pay $1199 for a 3-year/60,000km, Peugeot Assured Service Plan for either model. When I went to pick up the 5008, my heart sank. There were five 5008 models sitting there, 4 of them grey or silver (a.k.a metallic grey). 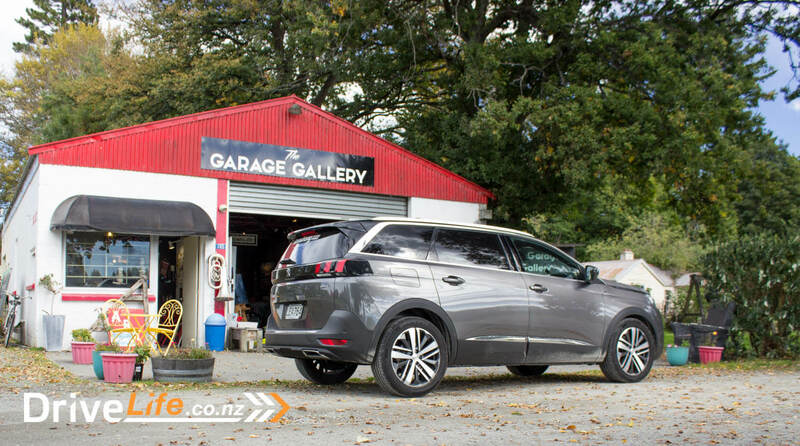 The 5008 is a nicely designed SUV – it’s something different, funky and French – and grey. I understand that in New Zealand, grey and silver cars sell, but it doesn’t do the design of the car justice. Anyway – yes it does look good, and certainly reminds me of the Peugeot 2008 and the 3008 – the front seems identical, just bigger. Nicely proportioned too, and the lashings of brightwork on the front, sides and rear of the car make it stand out from the crowd. The front and rear are really where it’s at with the 5008 – the front, while looking so similar to the 2008 and 3008, looks fantastic. Modern, with some nice angles without going overboard into ‘too much’ territory. The way the LED DRLs follow the headlights down is very stylish. The rear too is very nicely done, those taillights set the whole rear of the car off. 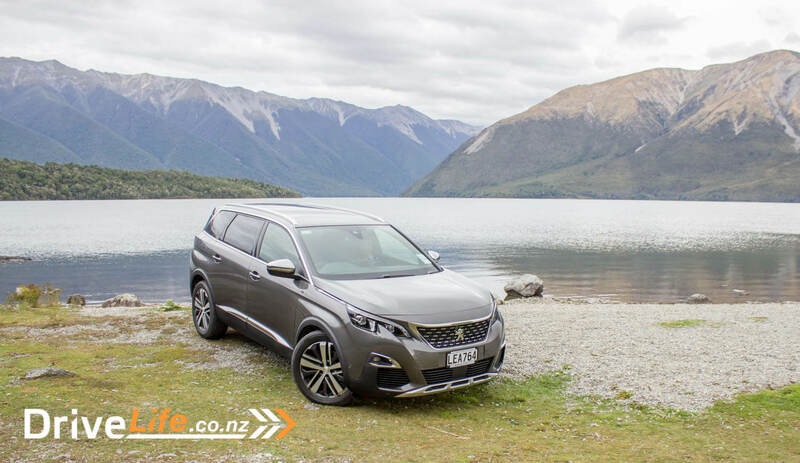 Your overall sense of the 5008 is the size – this is not a tall, ungainly SUV, and yet it has seven seats. It almost looks low and sporty in the flesh. Opening the door of the 5008, you see two things; a stylish, modern looking interior with lashes of suede on the dash and doors, and the second thing you notice is how dark it is in there. 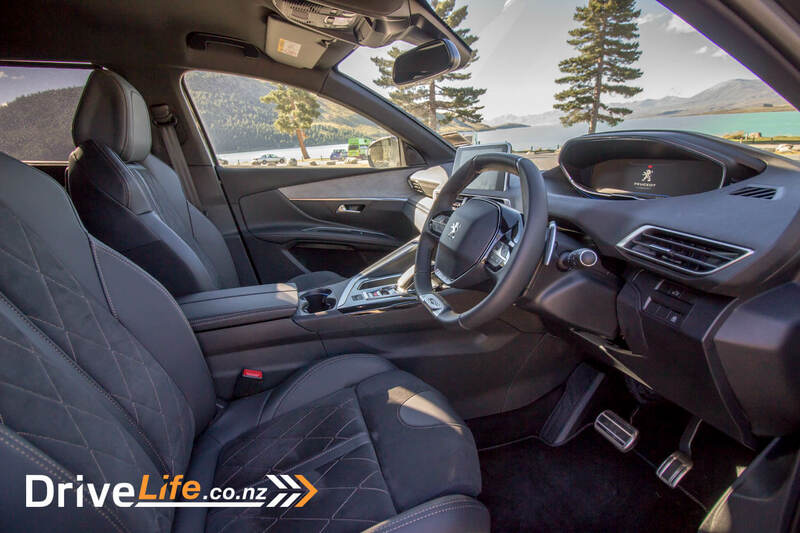 With no panoramic sunroof and black headlining/seats/dash, it’s a pretty dark interior. Lightening it up a little are those pieces of Alcantara suede here and there – all my passengers commented on this, and all had a feel. At first it seems like it’s a little strange, but then you realise it looks (and feels) good. The suede on the doors is lit up at night with a nice blue hue, and looks very cool. It certainly makes the interior feel classy and expensive. 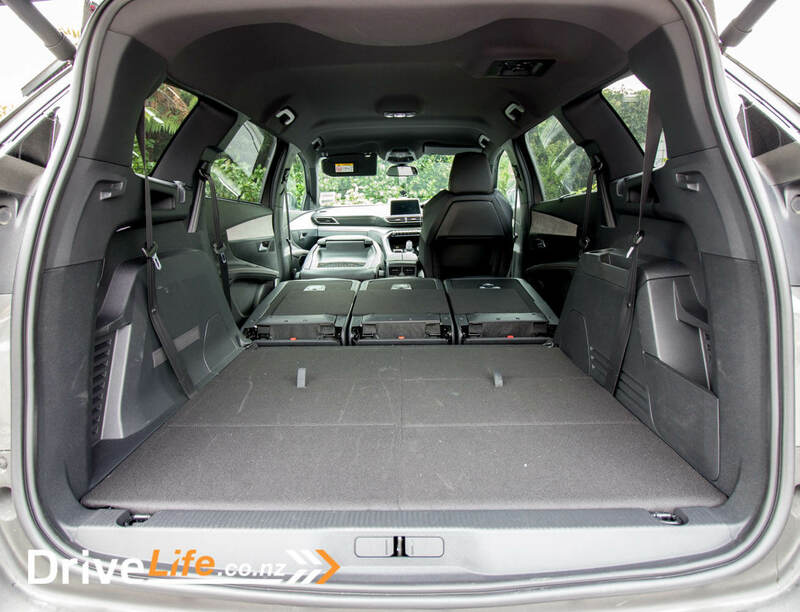 You do get some things that you don’t see on other SUVs, like the folding front passenger’s seat, allowing you to carry your wood back from the hardware store, up to 3.2 metres long. That’s a handy feature for some people. Another handy feature is the removable 3rd row of seats. While it doesn’t give you a flat floor if you remove them, with the snap of a couple of levers, you can remove the 3rd row to give you lots more storage space – over 300 litres more in fact. Centre-top of the dash is the 8” touchscreen, and this works perfectly well as far as the menus go. It’s a crisp, clear display too. You can select what you want (e.g. phone, SatNav, AC etc) using one of the ‘Satin Chrome Toggle Switches’ on the lower part of the dash. I must admit, these switches have a great tactile feel to them. You can feel the coolness of the actual steel toggles as you touch them. Nice. One of the smaller toggle switches is to stimulate one of two sensual experiences while driving. 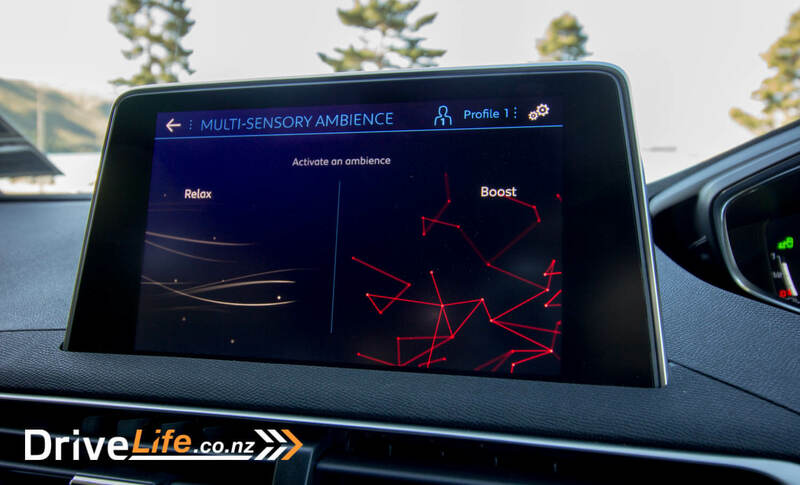 Selecting this option allows you to pick options of ‘Boost’, or ‘Relax’, which will change things like sight, hearing, touch and smell. 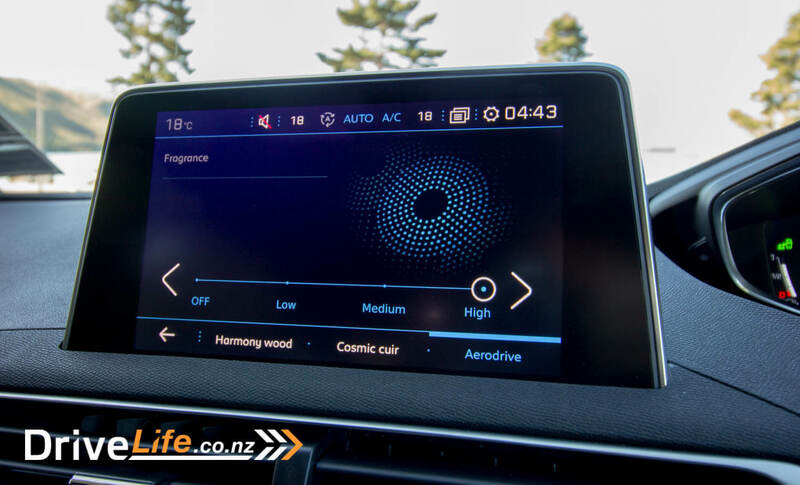 Changes to ‘sight’ means the interior lighting and display screens will change, while ‘hearing’ changes acoustic profiles for the audio system. Touch automatically turns on the massaging seat for the driver, while smell makes changes to the fragrance which is sent into the cabin. Yes, you read it right. There’s some sort of fragrance sachets in the glovebox, and you can pick from one of three options, as well as adjusting the intensity. Pick from Harmony Wood, Cosmic Cuir, or Aerodrive. In all honesty, I couldn’t tell one fragrance from another for the whole trip away, even if I put the dispenser system on high. Those with more sensitive noses might pick up the differences. A shame though that Peugeot haven’t bothered with any sort of Home Screen for the display. You pick your feature, and that’s it. I like it when there’s an overall home page to show you different things on the one screen, especially one this wide. On this road trip, I left my phone charger behind for the first time, and only used the 5008’s Qi wireless charging. Sure, it’s a slow charger but being able to leave your phone charging without plugging it in is one handy (and lazy) feature. Like we first saw in the 2008, the 5008 has Peugeot’s Heads Up instrument panel. Not a true heads-up display, Peugeot has taken a more simple approach of having the instrument panel above the steering wheel. This means the steering wheel is quite small, but it feels superb. Flat-bottomed, and it also has a flat top to clear the instruments. Does this approach for a heads-up panel work? Pretty much. Your eyes naturally fall just below the road to the speedo, as we all know you only need to watch your speed to be safe – or so we are told. It is an interesting answer to the problem – instead of the added cost and complexity of a heads-up display, just move the instruments up. The instrument panel itself if a high-definition unit, 12.3” wide and customisable to a certain point. It is extremely clear and crisp. There are five different modes to choose from here: Dials, Minimal, Driving, Navigation and Personal, and you can pick from two colours; blue or copper. For the Dials setting, as you would expect it’s an analogue rev counter and speedo, but you still get a digital speed readout with it. On the geeky side of things, when you switch from one of the other display types to Dials, they come up with a cool animation sequence. Weirdly, when you have the dash on Dials, the rev counter spins anti-clockwise. It took me a minute to see what was different. It still works, but it does look strange. Minimal is also a good option. You get a big, fat digital speed readout, and little else. This would be great for a learner driver. 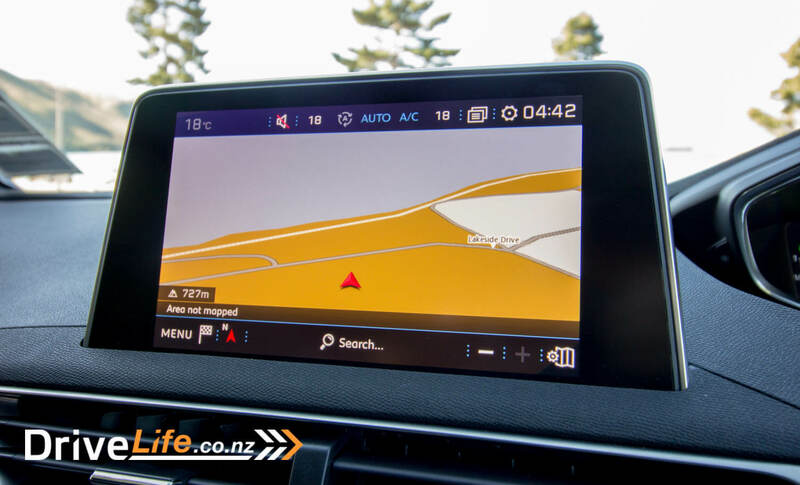 Navigation mode almost takes over the whole display, giving you a wide and clear view of the roads and turns ahead, as well as the speedo readout of course. Driving mode shows you the car in front, and how close you are, along with some other driving info, while Personal is programmable to show what you want. It had been a while since we’d been on the ferry and I found out they now have an R18 area. Not that sort of R18 area, but one where no one under 18 is allowed, there’s comfy seats for all and ‘free’ food and drinks included in the cost. Sold! With the crossing over and done with, it was time to hit the open road with the 5008. I had to remind myself this was the diesel model. Sure, it had the punchy, low-down torque of a diesel, but this BlueHDI engine is extremely quiet. This is a time when adaptive cruise control comes into its own – and the 5008 GT does it perfectly. The only problem I struck here is that the cruise control is on a stalk. I have yet to find someone who prefers the stalk over having this on the steering wheel. 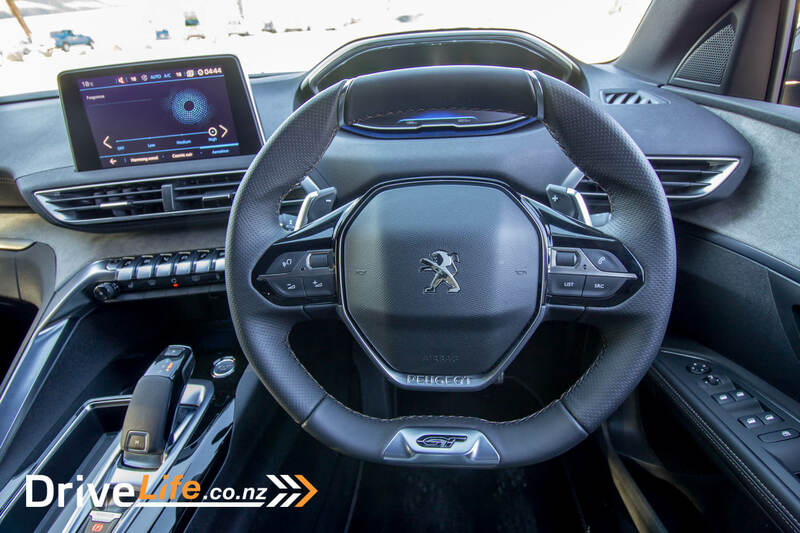 Just after I picked the 5008 up, I hit the motorway and wanted to use the adaptive cruise control, but for the life of me could not see what the buttons did as these are completely hidden by the steering wheel spoke. It felt dangerous, so I waited until I stopped to crane my neck around to see what the controls on the stalk were. I got more used to it over the course of the trip, but still annoying when you compare the stalk to buttons on the front of the steering wheel. Did I get used to it over 2,500km of driving? Yes. Do I like the stalk now? No. Not the end of the world though, and the miles passed by quickly. Stopping in Blenheim to grab a couple of coffees to go, I parked next to a Subaru Outback. 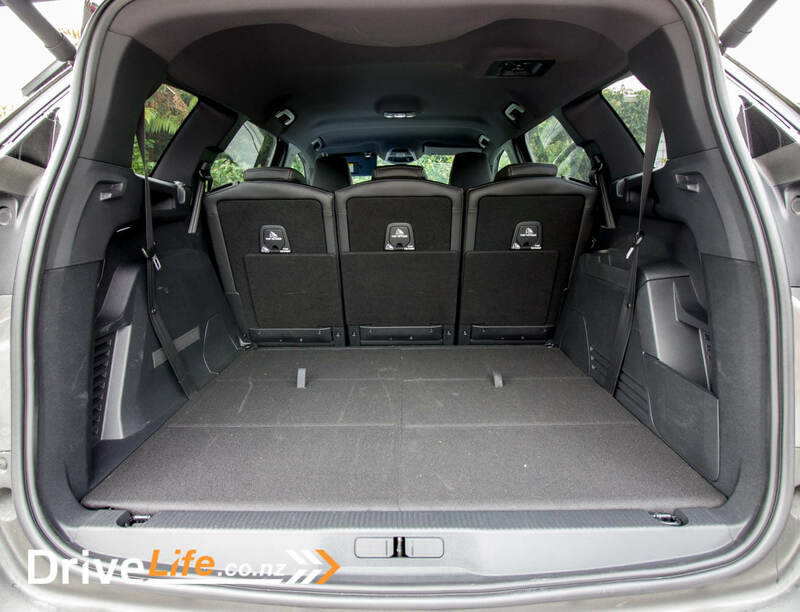 Either the 5008 is small for a 7-seat SUV, or the Outback is huge – and it’s only a 5-seater. They were almost identical in length and height, even though the 5008 is FWD only. 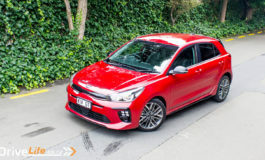 Heading inland towards Hanmer Springs gave me a change to test out the handling for the car. It impressed me – and remember this is a front wheel-drive SUV, no fancy AWD systems helping here. It gripped, handled and rode very well. In fact the ride is a stand-out feature of the 5008. But the handling impresses too, I pushed the car harder and harder (where it was safe to) and it took it all in its stride. It is very much a slow in/fast out car. If you take the corner wrong you will get body roll and understeer, but get it all right and you are rewarded with a fun drive – for an SUV. There’s just two driving modes for the 5008; Normal and Sport. On that twisty road, I tried out Sport mode. The reality is with a decent diesel engine with 400Nm of torque at just 2,00rpm, you are better off in Normal mode so the engine makes the most of the torque out of the corners, rather than holding the gears longer. We pulled into Hanmer Springs later in the afternoon (and straight to the famous pools of course! ), and feeling pretty refreshed. I’m not sure if it was the air freshener, or the massaging seat. For me it was the seat – it really did make a difference to our day’s drive. Today we would head down the coast on Highway 1 via Christchurch, then head inland at Ashburton. The only problem with this plan was that this was Easter – everyone else had the same idea. At one point, we were either crawling or were stopped, for 50 minutes. So boring. But it did give me a chance to play with some of the 5008’s features. I worked out how to program in my own settings for the ‘Personal’ option for the instruments, so picked rev counter for the right display and a ‘dynamic display’ for the left one. The dynamic display showed me the power, torque and boost the engine was putting out at any time – cool. But it didn’t seem to go, until I worked out the car had to be in Sport mode for this to work. Bummer. One other thing that was missing from the 5008 that really stuck out in stop/start traffic was the lack of brake auto-hold. The 5008 has an electric park brake, but no auto-hold function, so it was foot on brake every time the traffic stopped. I did use the adaptive cruise at times, and this would bring the car to a stop and hold it there, but once the traffic moved, the adaptive cruise wouldn’t work unless you were doing 30km/h. So it was foot on brake each time we moved. A bit painful. The other thing that needs improving is the engine auto-off feature. For a start, and this isn’t specific to Peugeot, although the 5008 does this same thing. The issue is when you stop, and the engine auto-off kicks in. That’s fine. But then if you are stopped for a while (e.g. traffic jam) and put the park brake on, as soon as you lift your foot from the park brake, the engine starts again thinking you are moving off. It’s frustrating as the engine should just stay off until you hit the gas pedal. If you make sure you slip the car into neutral, then foot off the brake, it won’t start – which is good. But it means when you move you have to remember to stick it in Drive again. We eventually made it to Christchurch, and headed straight for lunch at the Route 66 Diner in the centre of town. Some might remember we love to road trip in the US, so after seeing this place advertised decided it was a must-see place. We were impressed – endless coffee and very much an American menu. The place was packed too, and we had to take seats at the counter since every table was full. Well worth a visit. Lunch done, we drove into the centre and parked up – my wife had not seen central Christchurch since the earthquake. It was great to see so much construction going on, but sad too to see how much is still left to do. Sobering. That leather steering wheel is tiny, and feels great. I did find a few issues here though. The track/station change thumbwheel is on the right, while the volume up/down buttons are on the left side of the wheel. I lost count of the times I hit the track change thumb wheel, instead of the display change thumbwheel which is on the left – just above the volume up/down buttons. I thought this might be down to the whole left-hand drive/euro car thing, but if the steering wheel was on the other side, they would still be in the wrong position. I guess you’d get used to them being back-to-front after a while. 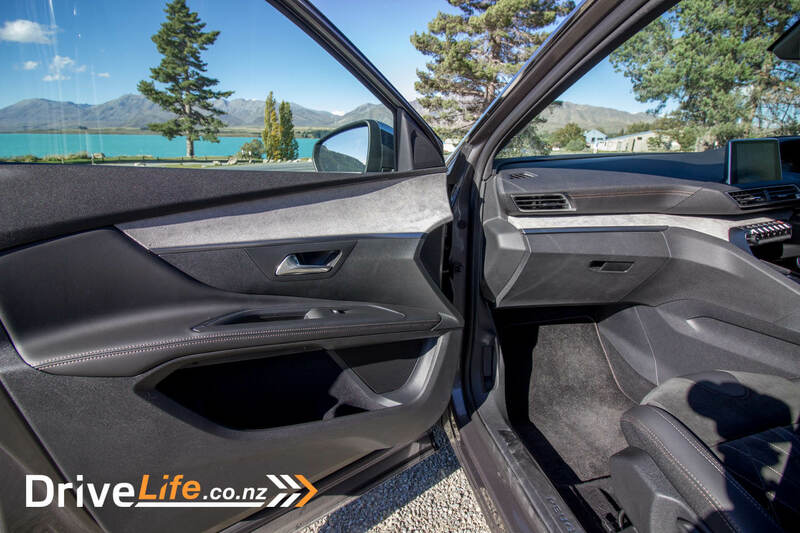 We cruised into Lake Tekapo to see it had changed quite a bit since we were last here – very commercial now, and like a mini-Queenstown or Wanaka. The place was packed – we had to keep reminding ourselves this was Easter, after all – but the evening was stunning. No wind, no clouds and a superb view of the lake. We contemplated heading down to the Church of the Good Shepherd for obligatory photos, but could see the car park was full to overflowing. We’d head down first thing in the morning instead, and beat the crowds. Can I just say that for us, ‘first thing’ means before 8am. We actually managed to get down to the church before 8, and already the crowds were building. Still, it was better than any other time of the day. After breakfast at the hotel, we hit the road to go and pat Alpacas in Fairlie, a 30-minute drive west (not my idea). Again, the 5008 impressed. I can’t get over how quiet that diesel motor is. In my notes, I wrote ‘imperceptible at speed’. If you are at almost any steady speed, you can’t hear this engine. It was time for diesel, so we decided to gas up in Fairlie, our first of the trip. We’d done 760km so far and had averaged 6.2L/100km. In fact this would end up being our overall fuel consumption for the whole trip. Peugeot’s combined rating is 4.8L/100km so we were a bit off that, even though most of our travel had been on the open road. Still, this is less than the 7L/100km I got out of the little three-cylinder, 1.2-litre, petrol 2008. We grabbed coffee and donuts at the ever-popular Fairlie Bakery (check it out when you are passing through – great food!) and then headed back towards Lake Tekapo, stopping on the way in Kimbell, to check out an art gallery there. We aren’t particularly arty people, but after seeing some of the local artist’s work in the café, decided it was worth a stop. We didn’t see any prices – a good indication they were above our budget – but were amazed by the stunning landscapes, that we thought were photographs, but were oil paintings. We drove through Lake Tekapo, and headed up the road to the Mt John Observatory and past it, to get better (less tourist-populated) views of the lake. It was worth it – it’s a reminder that the South Island has some stunning landscapes. After yet more photos, we headed east and made it as far as Lake Pukaki for more coffee and photos. That done, it was back to the hotel for a break, and wait for our shuttle to get us for the Mt John Observatory tours. We were told to dress up warm for this, and luckily we did. A slow crawl in a bus up to the top of Mt John meant much cooler temperatures for our night’s viewing. If you are stopping in Lake Tekapo, the observatory tour is well worth the money. Hint: If you have an SLR camera, take it. You will understand if you do the tour (but I can’t say why, here). Another late start, but what the hell. We hit the road to Greymouth at 1030. Again we used the SatNav to get us places, and it worked almost flawlessly. Sometimes it did try and tell us we were in Australia and needed to be told we weren’t, but that only happened a few times. A shame though that the speed limit for the road you are on isn’t shown on either display, that would have been very handy. Otherwise using the Navigation setting of the instrument panel was a great way to see where the next turn was, and how far – as well as the digital speedo. I probably used the Navigation setting more than any other. First stop for the day was the small town of Geraldine, where my wife had been ‘told’ to go to the Talbot Cheese factory shop, and the Barkers factory shop. I had full intentions of just eating the freebie samples in the cheese shop, but honestly they were that good and the prices surprisingly low, that we ended up walking out with armfuls of cheese. Barkers too was excellent – great prices and a huge range of jams, spreads, and that sort of stuff. More armfuls leaving there too! We kept cruising up towards Greymouth, with stops on the way for photos. 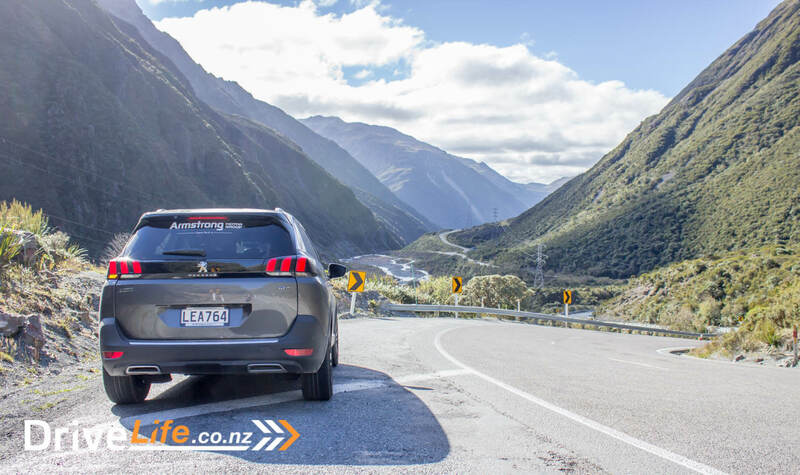 We pulled over at the Rakaia Gorge for a few pics, and when leaving had to wait while some tourists decided they would park (yes, park), on the one-lane bridge to take photos. Let’s just say they weren’t very popular. 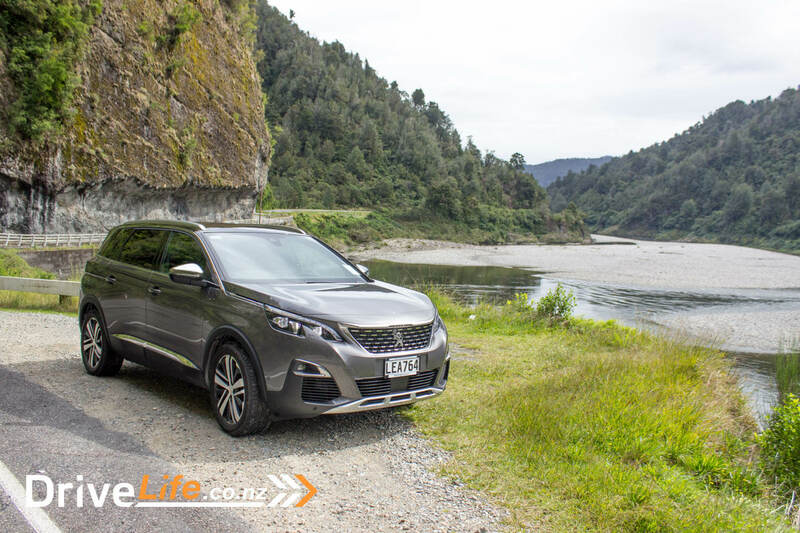 Today I reflected on the 6-speed auto of the 5008 as we headed over Arthur’s Pass. It’s a perfect gearbox, and reminded me of the BMW X3 motor/trans combo we recently tested. There are paddle shifters of course, and it was simple to use these for engine braking when heading down some of the steeper slopes. You can also switch the trans to manual mode by pressing the M button on the shifter. It’s not a DSG unit so is so much smoother than some of the other gearboxes out there, like the Skoda Kodiaq. This gearbox is perfect. More miles driven, and time to head Arthur’s Pass. 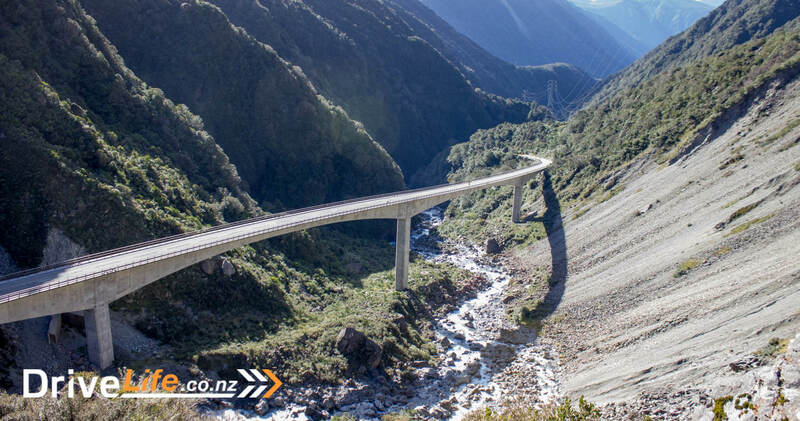 The Otira Viaduct is as impressive as ever, and we stopped just before it in the rest area to take a look – where there were a bunch of Kea, waiting to eat up some cars. That road though…a brilliant drive in the 5008. 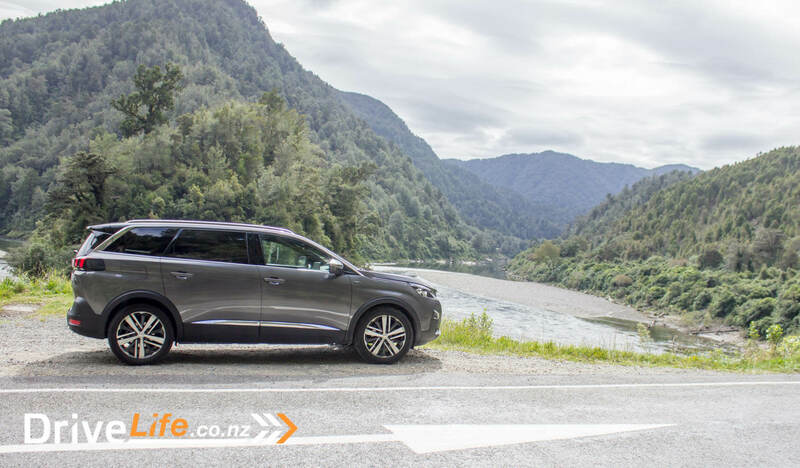 We stopped in Arthur’s Pass for a coffee/toilet break, and I parked next to a Toyota Highlander, which made the 5008 seem like a toy in size. 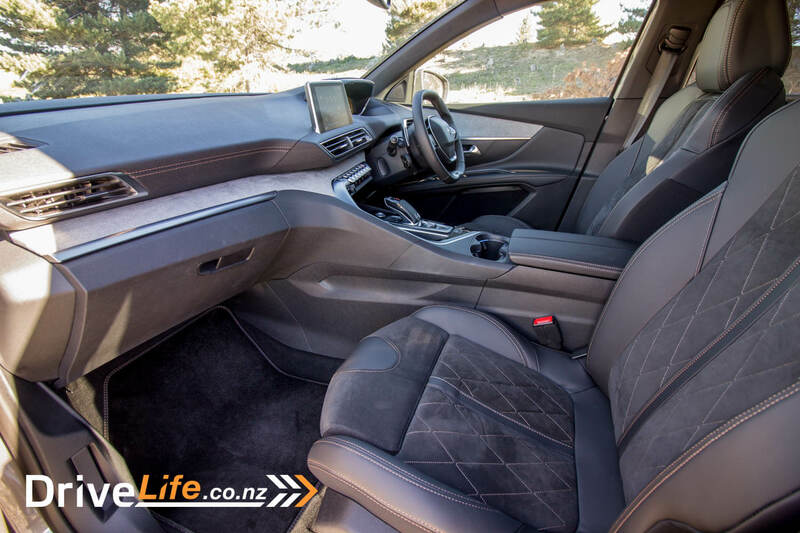 I think the 5008 has just as much second row legroom as the Toyota, and is a better drive. We got stuck in some stop/go roadworks for a while, so more time to look around the cabin. 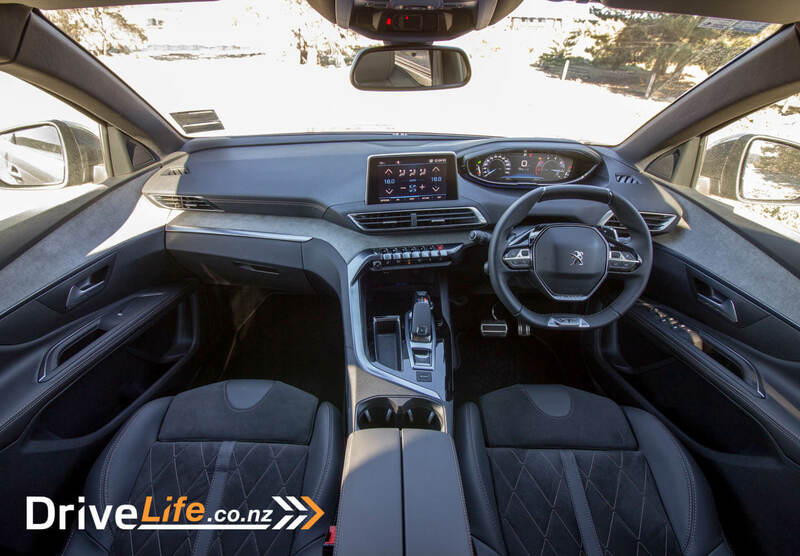 Peugeot have really taking a fighter cockpit type of approach with the interior. With a very high centre console and that fighter-plane design shifter, it’s something different – and refreshing. There’s some piano black here and there (including the steering wheel), and those real metal toggle switches really give you the sense of being in a cockpit. 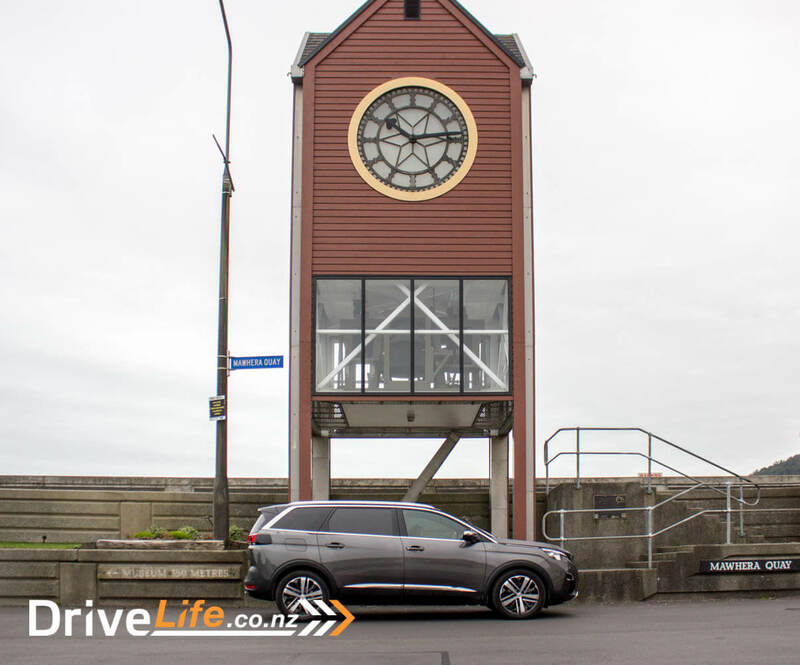 We made it to Greymouth in the late afternoon – tomorrow sees our last day of driving, to Picton and the ferry home. 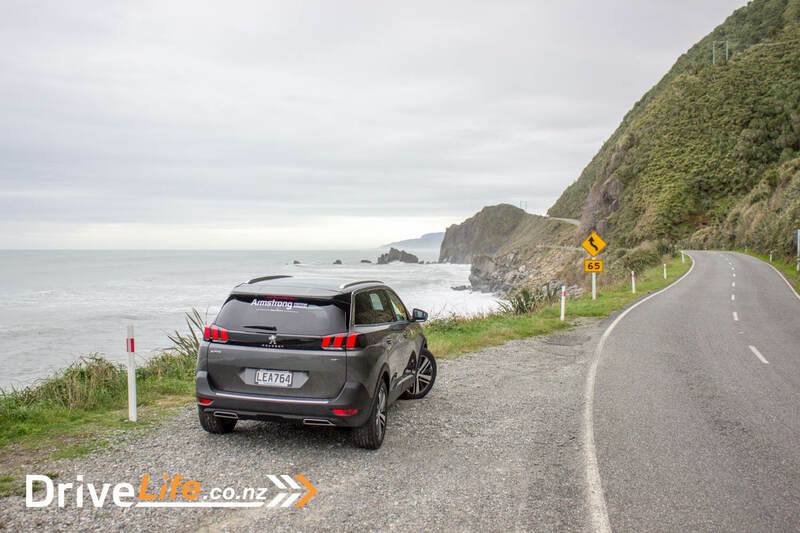 One of my favourite roads is the coast road from Greymouth to Westport. While my wife wasn’t too impressed (she let me know this), I really pushed the 5008 along where I could. Hard to believe this is a front-wheel drive SUV. It handles so well, and grips with it. Again, that diesel engine with all that low-down torque…awesome for pushing you out of a corner to keep body roll in check. Loved it. Brakes too are excellent, with good feel and modulation. Steering feel is above average. That’s not to say it’s a fast car; it’s 0-100km/h time is 10.2 seconds, which is fairly slow by today’s standards. It doesn’t feel slow at all, and the midrange acceleration is excellent – this is where the 5008 shines. Passing people or gunning it out of a corner, the 5008 gives you a good push in your back while it accelerates away. There is tyre noise when the car hits coarse ship seal though, and I noticed this every day. I’d be looking at something different than the Continental ContiSportContact tyres the car comes with, at the first change. Today I was also reminded of one annoyance from the car’s audio system. The quality is very good, bordering on great, but it reverts to radio when you get out of the car. To get it back on to Bluetooth, you have to select Bluetooth again as a source. Drives all us car testers a bit crazy. All cars in our comparison chart are 7-seaters. The 5008 didn’t let me down. There were some things I didn’t like, but in reality – I didn’t really care. For me, it’s all about the driving experience, and this is where the 5008 GT shines. It’s a great driver’s car, and yet it can take seven people, has oodles of room, and is well priced. 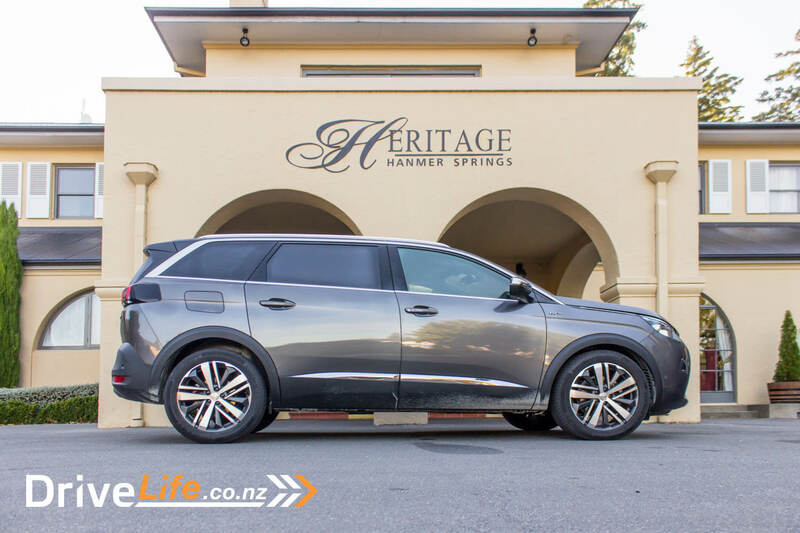 But a buyer is going to ask – is it a Kodiaq beater? The top-range diesel Kodiaq is slightly less than the 5008 GT, and has AWD. It feels a much bigger car to drive than the 5008, but isn’t as refined with that DSG auto gearbox. Tough call – but if I was in the market and was looking at the Kodiaq, I’d certainly be test driving the 5008 GT before making my mind up. In writing this review, I asked myself: If I was to do the same 2,000km trip again, would I happily take the 5008 GT?